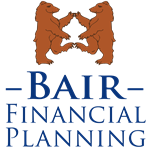 Since we have added a new member to our Bair Financial Planning team, teamwork has been a big theme around our office. We have had many discussions about communication and what processes will work best for us, and ultimately for our clients. I found the embedded TED Talk about the Marshmallow Challenge below, and thought it was so interesting how the idea of the presentation mirrors what we do in the office. We are constantly refining our processes and working on projects to best serve our clients and keep everyday business running smoothly. Having a diverse team is so important to coming up with new ideas in a constantly changing environment. To teamwork!